BleachHouseLibrary.ie: Book Review - "Caramel Hearts" by E.R. Murray. 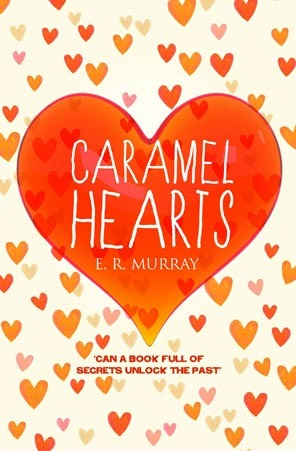 Book Review - "Caramel Hearts" by E.R. Murray. Life is not a bed of roses for fourteen-year-old Liv. Her Mum is in rehab, her father disappeared when she was a toddler and her sister, Hatty, has dropped out of college to take over the reins. The two girls are determined to make things work so they can avoid a social services intervention. They had been in foster care before and will do anything to keep Liv at home. As if this is not hard enough, Liv is now being targeted by the school bully and is losing her best friend, Sarah. When she finds an old hand-written book of recipes, she uses the world of baking to add some sweetness to her bitter life. But can some cakes and cookies make her pain melt away? ER Murray has written a YA novel that is both heartbreaking and inspiring. Liv is a teenager with a temper, but for a very good reason. She has had a difficult childhood and is torn between hating her alcoholic mother and wanting her approval and love. The discovered recipe book is a rare glimpse into her mothers happier moments and Liv hopes that some of the happiness will rub off on her. However, creating buns, fudge and cupcakes can be an expensive past-time and Liv struggles to find ingredients. Enlisting the help of the school dinner lady, she attempts to re-create her mother's dreams. All her plans go awry when, in a moment of madness, Liv does something terrible and it leads to a chain of uncontrollable events. The bullying increases, her friendship with Sarah collapses and the boy she has feelings for is slipping through her fingers. How can things get any worse? It can be hard to discuss addiction with children. They have an image in their mind of what an alcoholic looks like, and if they have had no contact with one, they struggle with relating to their stories. In this novel the author has used a very real story, set in a very real world, to show that any one of us can be touched by addiction. Liv is a memorable character, with her sassy nature hiding her despair and loneliness. She is terrified she will be removed from her home and placed into foster care, and has painful memories of being separated from her sister. Like many kids who have never met their fathers, she has an idealised notion of him and thinks h may be the answer to all her prayers. In chapters reminiscent of Mark Haddon's The Curious Incident Of The Dog In The Nighttime, Liv decides to track her father down, meeting some strange and wonderful characters along the way. 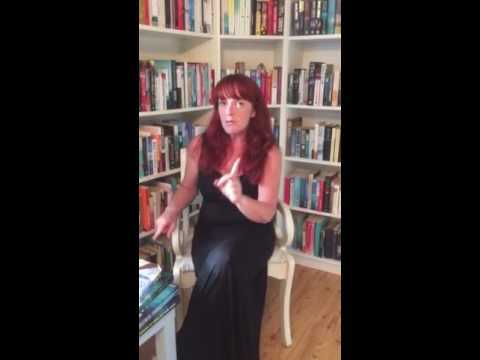 This is a touching, yet honest look at what it is like to live with anger, fear and uncertainty in your life. To not know when there is going to be food in the fridge or whether you can afford to wash your clothes. It looks at the idea of hope and how children believe in its power. It also addresses reality, in a non-judgmental way. Children don't need to be spoken to in a condescending way, they just need the truth and to know that someone is watching their back. Bullying is cleverly interwoven throughout the novel, without sugar-coating it. Girls can be especially cruel and Liv is the victim they have hand-picked for their campaign. To balance the darker moments, ER Murray has included achievable recipes into the book, which are sure to tempt even the toughest teenager. Caramel Hearts is published by Alma Books and is available in paperback and ebook format. Book Review - "Don't You Cry" by Mary Kubica.